I am looking for any information on an tunnel that possibly goes from the back of Kenny's house to the Bowers walk. From memories as a child there was a stone stair case that went underground that is currently buried at the back of the house. 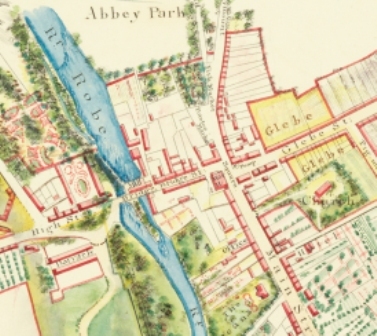 Does anyone have any information on the design of the house and garden and possibly anything on the groundworks in the area?. I am interested in the tunnels as a caver and as someone who is interested in our local heritage. I vaguely remember Kennys Gardens as a child but will always remember how beautiful it was. I am looking for any information on this as I have an interest in kayaking and a idea for creating whats called a "standing wave" which is created by slightly moulding the riverbed at the town bridge looking upstream at the small drop/rapid to create a wave that is surfable. The river already creates the wave but access is difficult when water is high (when its at its best). This area is a natural arena which I believe would create an original and diverse focal point in the town and would be very beneficial to all. The overflow tunnels that can be seen coming from mill are a major safety issue as well as being a ready made water level controller which would include fixing of the watergates and a rejuvenation of the area. This page was added by Chris Harnesse on 05/02/2012. Contact Francie Feerick (High St, Ballinrobe) as he was a gardener for many years at Kenny's. He may have some information.